Michigan's four seasons offer wonderful recreational activities for everyone. We hardy souls who brave the cold weather months are rewarded with fresh outdoor fun that reddens our cheeks and clears our minds. 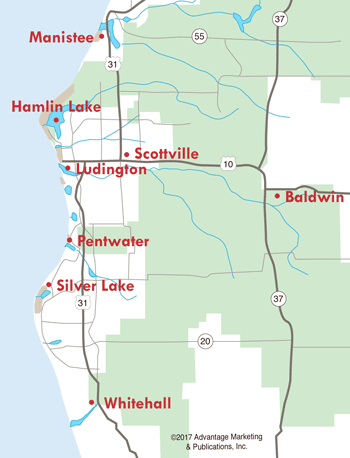 Enjoy cross-country skiing, snowshoeing, downhill skiing, sledding, ice skating, ice fishing, snowmobiling, and take in all the beautiful scenery of a West Michigan winter!